Lamb of God frontman Randy Blythe recently revealed aspirations to publish a sci-fi novel, but he and his band will be sticking to the realm of the real world — North America, to be specific — for an upcoming tour this spring. 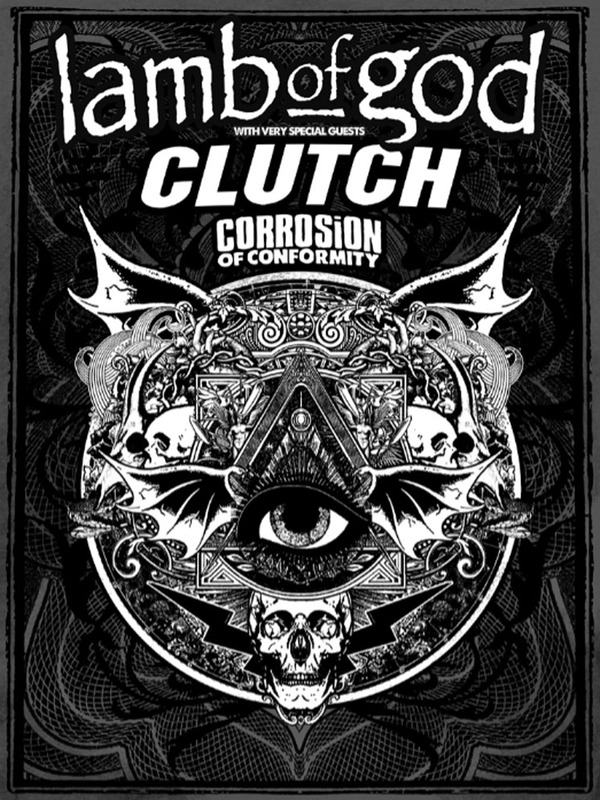 The tour sees Maryland rockers Clutch and long-running metal unit Corrosion of Conformity joining Lamb of God on the bill, and the whole thing kicks off in Fort Myers, FL, on April 30. The gang will make its first stop north of the U.S. border on May 19 in Toronto, followed by a string of Western Canadian dates in June. Stops include Vancouver on June 1, Penticton on June 2, Calgary on June 4, Edmonton on June 5, Saskatoon on June 6 and Winnipeg on June 7 before the bands wrap things up at Bonnaroo down in Tennessee on June 11. Find the full list of upcoming shows below.